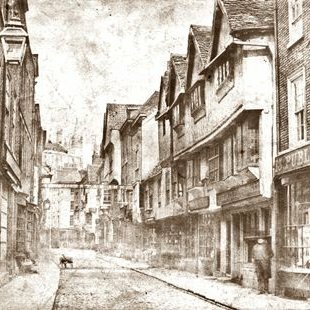 The Brontes' last visit to York was not a happy occasion - Charlotte was accompanying her sole surviving sister Anne en route to her planned convalescence in Scarborough. Anne never recovered, and is buried in St Mary's churchyard. But you can still visit the house where the where the Bronte family stayed on their sojourns from West Yorkshire. Today 43 Stonegate is home to one of York's most established, independent boutique art galleries: the Pyramid. But the building, which dates back to the 15th century, is one of the city's oldest. In the early twentieth century it was home to an eccentric spinster who produced religious pamphlets. Before that, the house had been let to the Titterington family from Halifax. 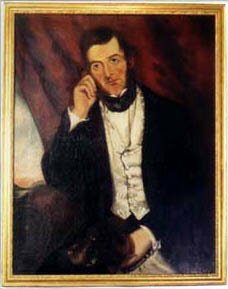 John Titterington, the heir to a wool merchant's fortune, was a bit of a wild card: a gambler and a president of the notorious Hell Fire Club, a group of writers, thinkers and heavy drinkers who used to assemble at the Talbot public house in Halifax for rounds of general debauchery. The most infamous ne'r-do-well amongst this riotous congregation was the infamous Bronte brother, Branwell. Titterington was the closest Branwell had to a patron - he painted numerous, not-very-good portraits of the Titteringtons in recompense for John having helped him out of numerous financial scrapes. But in 1848, Titterington was in a scrape of his own. He had been publicly disowned by his father, reviled on the front page of the Halifax Guardian, and fled to York, where he was promptly arrested for debt. Titterington's wife and sister stayed at the premises he rented in Stonegate while he himself spent much of his exile in York incarcerated in the debtor's prison - now part of the Castle Museum. 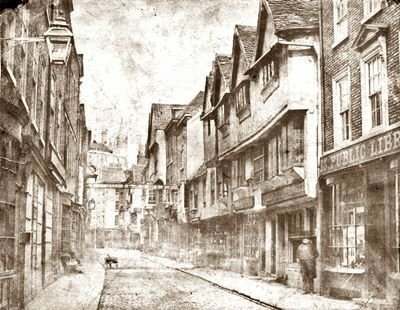 But no doubt Branwell, whose aspirations as a painter somewhat outstripped his talent, would be intrigued to find that the house in Stonegate is currently home to some of the finest artists in the region. Pyramid is currently displaying a group exhibition by the members of York Artworkers' Association, marking the 25th anniversary since the group was founded by stone carver Peter Coates and sculptor Charles Gurrey in 1993. The group meets monthly at the historic Jacob's Well in Trinity Lane and encompasses a diverse range of painters, sculptors and textile artists, as well as willow-weavers, stained-glass specialists and conservators deeply embedded in the fabric of the city. The Pyramid show comes with an accompanying book and is a fabulous showcase for the range of talent within the walled city - including our very own Sarah Jackson, who when not leading tours around the city is a textile artists who specialises in folk art and repurposing old fabric. Do drop in if you get the chance. And if you sense a menacing, maybe slightly envious presence, it may just be the shade of Branwell Bronte come to check out the competition.